Lion has reported a fall in sales and earnings due to the conclusion of its AB InBev beer distribution agreement, but there were some positives for the brewer to take from 2017, including the continued growth of Furphy. The Kirin subsidiary reported an 8.2 per cent decline in overall net sales revenue to $4.04 billion for the financial year ended December 31, 2017, due mainly to the ending of the AB InBev deal and the sale of Fine Wine Partners. “While the underlying performance of the group remained solid, the portfolio changes contributed to a 3.5 per cent decline in operating earnings to $629.6 million,” the brewer said. 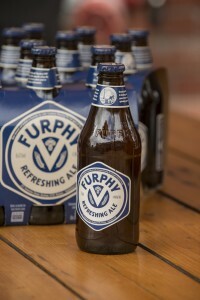 But James Squire 150 Lashes continued to deliver growth in the craft segment and Furphy – launched as a Victorian exclusive in 2015 – also boosted volumes by almost 300 per cent, according to Lion. “New contemporary beer brand, Iron Jack, was launched in the second half of the year and delivered strong sales in the lead in to summer,” it said. Lion will receive up to $300 million from AB InBev as compensation for the early termination of its distribution deal for Corona and other brands, the brewer announced in June 2016. Mac’s and Panhead both posted double digit sales growth for Lion New Zealand, up 17 per cent and 26 per cent respectively, the brewer revealed. “Emerson’s recorded the strongest growth figures of the top 10 craft beer brands, up 101 per cent in a record-breaking year,” it said. Lion said the opening of Little Creatures venues in Hong Kong, Shanghai and Beijing will provide an important launchpad for the Little Creatures brand into mainland China.